Six student presenters. Six innovations for social change in Memphis. Five minutes each. Who will win? 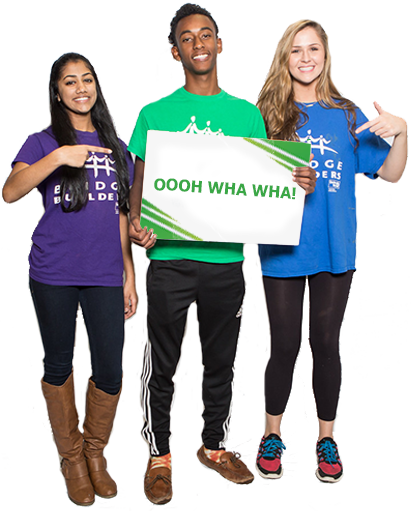 Find out Saturday, Feb. 2, Youth Ignite Memphis 2019, presented by the BlueCross BlueShield of Tennessee Community Trust and FedEx Freight. Youth Ignite is a catalyst competition designed to elevate and activate youth-led initiatives to make the Greater Memphis area stronger, safer, more beautiful, and more just for all young people. The top three presenters, voted on by youth in attendance, will earn funding and support to help turn their ideas into action. Adult community leaders, including elected officials and organizational executives, will also have the opportunity to provide feedback and advice and to connect youth with resources and contacts to help launch their projects. LiveOUTLoud, an organization for LGBTQ+ youth ages 13 to 20. The Youth Action Network of Memphis, working to ensure that all Memphis youth have equal access to opportunities and resources. Fear For The Homeless, organizing a group of youth to fundraise and plan a winter drive to support young people experiencing homelessness. Survivor Power Coffee Hour Series, a safe space for survivors of sexual violence and allies to raise awareness and empowerment through storytelling. GrowSmart, a platform for businesses to donate food waste for composting to support community gardens in food desert neighborhoods. Brothers Speaking Out For Change, youth with experience inside the justice system working to share their insights into dismantling the school-to-prison pipeline. WHEN: Saturday, Feb. 2, from 5-7 p.m.
Visit our website to view a video recap of Youth Ignite Memphis 2016. Youth Ignite Memphis 2019 is proudly co-hosted by BRIDGES, CodeCrew, Crosstown High School, and LITE Memphis. Special thanks to supporting sponsor International Paper, and for additional support from Start Co. I learned that it doesn't matter what race you are, you can become a leader against racism.